Besides buying the books of your favorite authors, there are other things that can be done to help raise the visibility of Indie Authors, who are adrift in a massive sea of other Indies trying to be seen, heard, and read. So here’s a primer for simple things you can do to help raise us up. It all has to do with SEOs and Google searches, and believe me, it all helps. In the case of Facebook, it means more people see the post if there are likes and comments on it. It’s amazing to see what happens to a post on Facebook when even a few people hit the “like” button. Your vote does count in a huge way. Leave a short review after reading an Indie Author book. If you’re related or somehow related to the book, leave the review to someone else. If you’re not, leave a short review. I’m a believer in the short, but sweet, reviews. They all help. Here’s one of the best ones for my book Live from the Road. This novel is a spirited travel story. It is packed with humor, understanding, and difficult conflicts. What is more, it is sprinkled with insights,love and no love. If you’re looking for a fun read that shares nuggets of wisdom, this is the book for you. Press the “review was helpful (or not)” button on other reviews. If you don’t purchase the book, at least add it to your “wish list” and then push the Twitter button about it. Tweet after you purchase a book (buttons are provided on Amazon). After reading a blog post, leave a comment. Press any of the share buttons at the end of most blog posts. Leave a comment on posts by Indie Authors. Follow or like author pages. 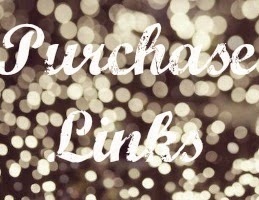 Share posts by Indie Authors if you feel your friends might enjoy something. 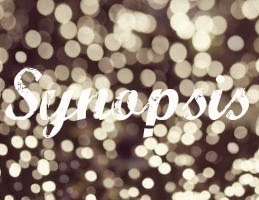 If you are featured on someone’s blog, go to the post, and “like” it AND post a comment. Follow the blog where you’ve been featured. Check back for comments by others for a few days after post. Comment on comments! Like all comments on posts where you’re featured. Share the post on all of your social media sites. If you have your own blog, reblog to your followers. If you’re a blogger, respond to every comment left on your posts. Also, now that WordPress gives you the choice of liking comments, do so. And as you were taught as a child, send a thank you note to the blogger who featured you. Remember your manners. Treat your fellow Indie Author as you wish to be treated as an Indie Author. I hope this helps. Helping out an Indie Author is really quite simple and easy, but it might mean the of a sale of one book or the addition of one follower. I think of my journey as an Indie as a domino effect, with one thing leading to another. Give the gift of “like” to your favorite Indie this year. What did I leave out? Please let me know, by leaving a comment below. I promise I’ll respond. 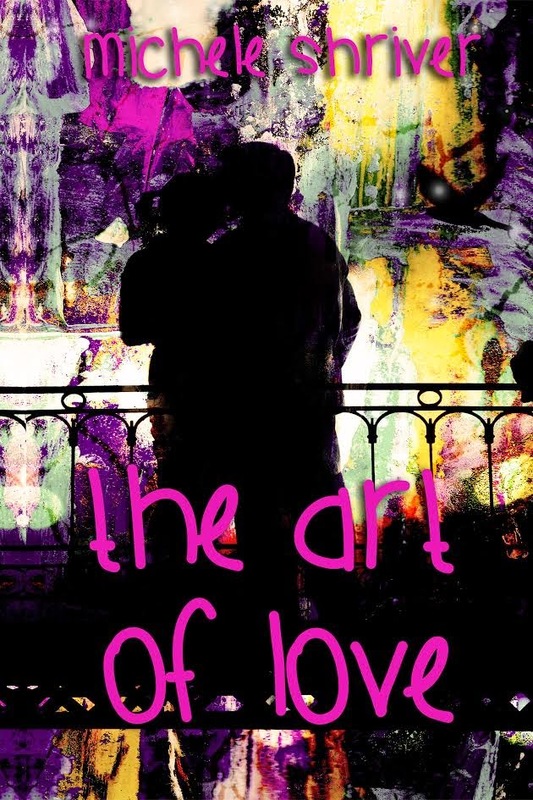 an unexpected temptation comes in the form of a sensitive painter. contact with the free-spirited Chelsea, his world is turned upside down. the door, and underneath that, in smaller letters, Marissa Kincaid, Curator. Was she the woman who would change his life? before he left. He had to be bold and confident. charge of a prestigious art gallery. always get people with quirky senses of humor. averted his gaze to the floor. gallery in Boston in favor of the capital of Iowa or a city most famous for barbecue? “Are you from the Midwest?” Hayden asked. 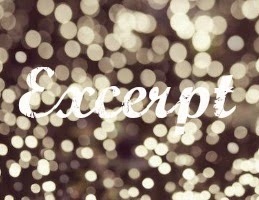 them.” She said it as if she expected everyone had. necklace was kind of strange. Some people liked strange. Welcome to Author Wednesday. 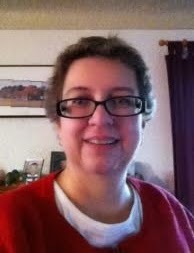 Today I welcome Wendy Unsworth, a frequent visitor to Writing Whims. Wendy is the author of several children’s books and a novel, I recently finished reading, The Palaver Tree. Watch for my review of the book on Book Review Friday. 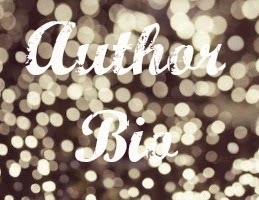 It’s a pleasure to meet so many wonderful writers through this blog, and so it is with pleasure I introduce to you this talented and versatile writer. Please take note, The Palaver Tree is available now through March 31 for .99 cents on Kindle. Firstly, I would like to thank you for inviting me here today; I always enjoy this feature on your blog and am fascinated to learn what influences and ideas make other writers tick! Through my life, I have always been a ‘scribbler’ of stories, poems and travelogues… anything really. I am a dedicated list-maker! For me, any experience or idea seems to engender a desire to ‘put it down on paper’ (often virtual paper, these days!) However, seeing my own book in print and online finally made me feel that I could call myself a writer. I’m glad you enjoy these posts. Seeing a book in print does wonders for making it all real. 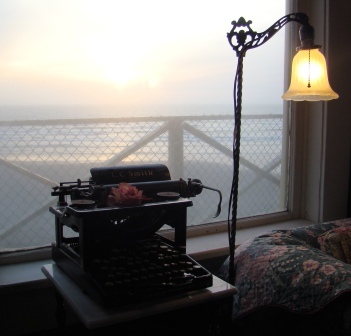 How does your immediate family feel about your writing life? I think they are proud of me. My husband, in particular, has been my great supporter, most especially in his recognition that I am actually ‘doing something’ when I may look far from it, glued to my screen or staring blankly into space! Oh, and he is a stalwart tea-maker. That’s funny. My daughter can always tell when I’m eavesdropping on a nearby table at a restaurant. She says I get “that look.” Do you have any particular messages or themes you try to convey to your readers? In my novels, I like to focus on ordinary lives and then ask myself, “but what would happen to them if. . .?” In real life, extraordinary events, both good and bad, have a habit of crossing the paths of ordered lives. My interests lie in the strength and abilities ordinary people can summon to cope with the situations that they least expect to happen to them. What am I trying to convey? That these inner qualities are there, and whether or not they ultimately lead to the outcome we would wish for, we have an incredible fortitude and the willingness to fight for what we believe is right and for those we hold dear. My children’s titles are written for fun, no bones about it! 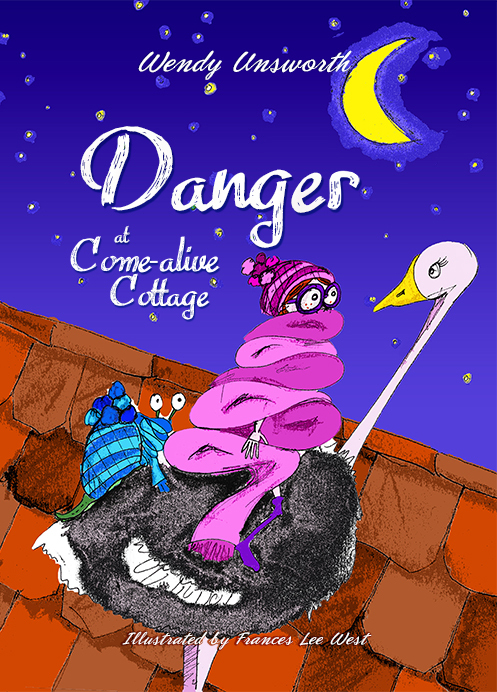 My quirky, main character, Kellie Culpepper and her madcap family of explorers, witches and pets, which include a giant African snail and a dragon, have lots of unusual adventures. However, along with the laughs, I hope I convey the importance of strong family ties and of caring for the ones we love. Those are all very noble messages. What are you working on these days? At present I am writing the second book in my ‘Berriwood’ series. The book is entitled Beneathwood. I anticipate there will be four books in this series. Each book centres on the life of an individual resident of the Cornish village of Berriwood, living their quiet, country existence. Of course, it doesn’t stay that way for long! 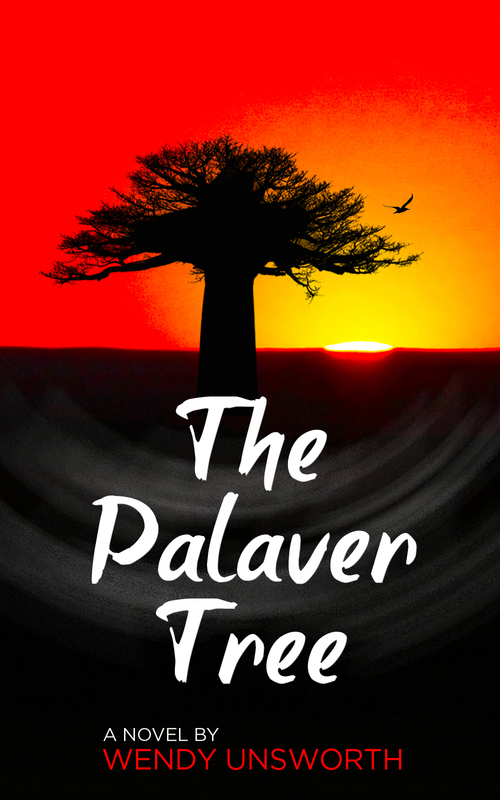 In the first of the series, The Palaver Tree, the protagonist, Ellie Hathaway, finds herself far away in central Africa, volunteering at a remote school where daily existence operates on a knife’s edge and many things are not what they first seem. Ellie needs to push her wits and courage to the limits to survive. In Book 2, Beneathwood (at present in the editing stage) has a more quietly sinister feel. Gordon Carroll has spent the first two years of his retirement renovating the old house that he inherited. He says it will make a wonderful home for himself and wife Beryl, and a roomy place for their daughter Olivia and her family to visit. But Olivia hates the old house and stubbornly refuses to say one good word about it. She urges her parents to sell and buy a nice, safe, village new-build. For once, Beryl Carroll is standing up for Gordon. She would do anything for her daughter but Beneathwood has been in the Carroll family for three generations; all that can’t be dismissed just because batty old Auntie Edith died there. Of course, as it turns out, it might have been a good idea to sell the house but I hope that I manage to keep the reader guessing about the real menace that hangs over the Carroll family with this story! As a complete contrast, Kellie Culpepper is due for a new adventure at the end of April. 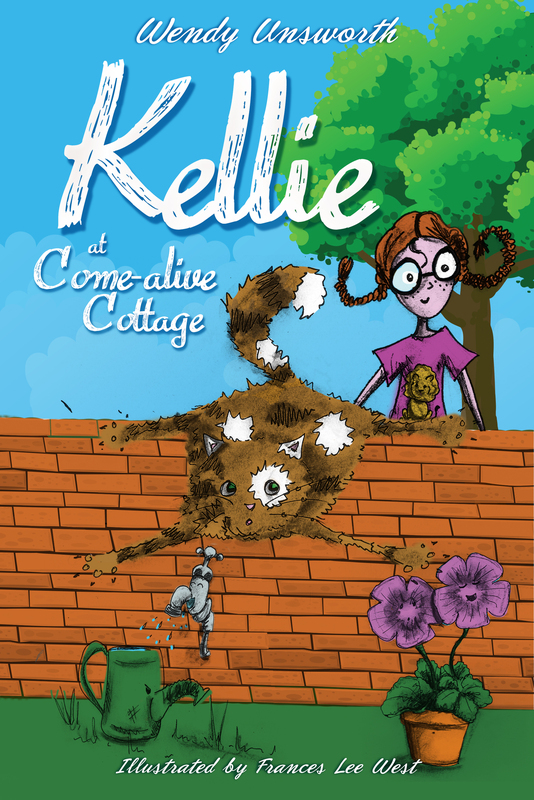 This time her Aunt Kitty, who is also a ‘sometimes-cat’, goes missing. You certainly have a broad expanse of writing genres. I look forward to reading Beneathwood. What’s the best thing said about one of your books by a reviewer? I am so thankful whenever someone takes the time to engage with me and others about my work. Thank you, again, for inviting me to your lovely blog today, and I would like to wish you and your readers a belated Happy New Year! Thank you, Wendy. Happy New Year to you, too. I can tell you’re going to be very busy. I’m so glad you stopped by today. 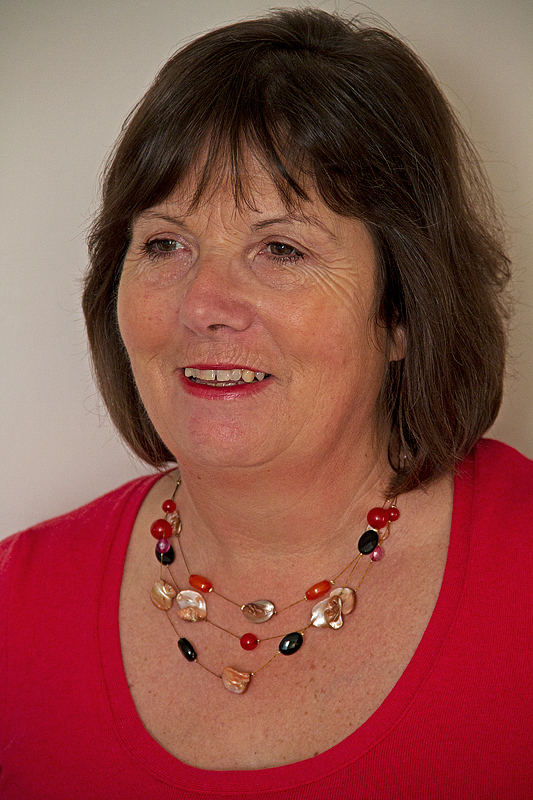 About Wendy Unsworth: Wendy was born and raised in Lincolnshire, England. 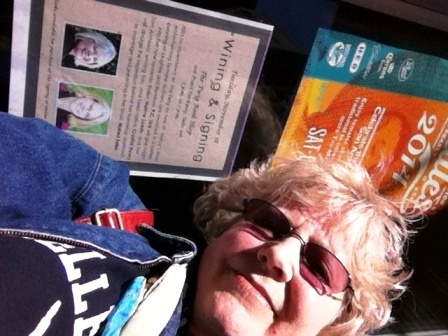 Her passions are her family, travel, beautiful gardens, and reading and writing stories. Wendy lived in Ndola, Zambia and Nairobi, Kenya throughout the 1980s and early ’90s before returning to the U.K. to acclimatise back to the English weather in a draughty Cornish cottage close to Bodmin Moor! Never one to let the grass grow under her feet, she is, at present, spending a year in Portugal.